Do I have enough saved to cover my spending in retirement? You're right. Ideally, you would want to base your retirement planning on expenses, or how much it will actually cost you each year to live the post-career lifestyle you aspire to. 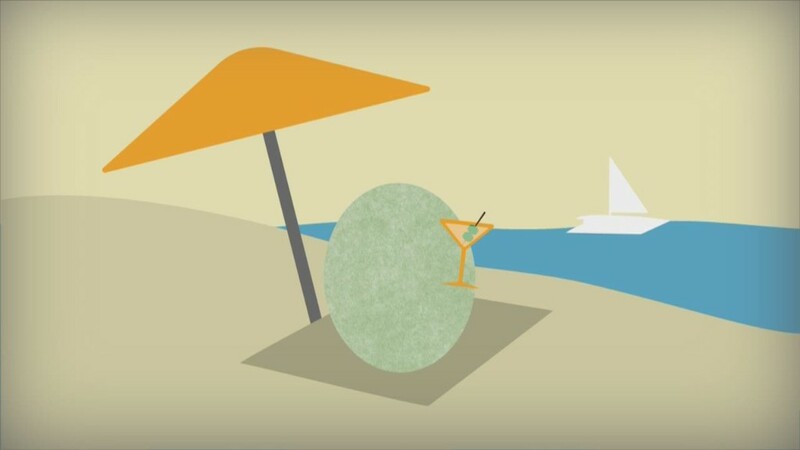 Knowing that, you could then better estimate how large a nest egg you'll require, how much you'll need to save on a regular basis during your working years to build that nest egg and how many years your savings stash is likely to support you in retirement. But when retirement is decades away, it's tough to get an accurate fix on what your future living costs will be. After all, that figure can vary significantly depending on such difficult-to-pin-down factors as how healthy you'll remain as you age, which can determine how much you'll spend on health care; whether you'll pay off your mortgage and other debt before or soon after you retire; whether you'll have an active retirement that involves spending considerable sums on travel and entertainment or live a more modest lifestyle closer to home, etc. And in fact research shows that the amount retirees think they'll spend and how much they wind up shelling out can be quite different. According to the latest Wells Fargo/Gallup Investor and Retirement Optimism Index, more than a quarter of retirees said their daily living expenses were higher than they expected and nearly 40% said they underestimated health care costs. So instead of trying to forecast what our actual expenses will be 20, 30 or more years down the road, we rely on "replacement ratios," or the percentage of our pre-retirement income we must replace to maintain our standard of living in retirement. By going to a retirement income calculator and plugging in the percentage of income you think you may need to replace — somewhere between 70% and 90% is typical — you can come away with a decent sense of how much you'll need to save each year to build a nest egg that's large enough, with help from Social Security and any pensions, to generate sufficient income in retirement. Make no mistake: these replacement ratios are still estimates, albeit ones that are grounded in research based for the most part on spending data from the Department of Labor's Consumer Expenditure Survey. But these rules of thumb can at least provide a reasonable framework for planning in the face of many unknowns, allowing you to set a savings target and then periodically revisit the calculator to monitor whether you're making progress toward your retirement goal. If you find that you're not making headway, you can see how moves like saving more, investing differently, retiring later or ratcheting down your retirement lifestyle might improve your outlook. Once you're in the home stretch to retirement, however — say, within 10 years of exiting your job — chances are you'll have a better handle on how your retirement spending might shape up. At that point, it's a good idea to do an actual retirement budget. You could go old school and just jot down what you think you'll spend in various categories using a pencil and a legal pad. But it's probably more convenient (and easier for making revisions later on) if you use a budgeting tool or worksheet online. One such tool is the Retirement Expense Worksheet that giant asset manager BlackRock offers free online. You can enter upwards of 50 separate expense items, ranging from essentials such as food, housing, transportation and health care to discretionary outlays like travel, entertainment, gifts and charitable contributions. Aside from an overall total, the worksheet gives you a tally for both your essential and discretionary items, a breakdown that can come in handy for gauging how much leeway you have for reducing expenses later on should that be necessary. Once you're satisfied that you have a relatively firm grasp on what your retirement expenses will be, you can then plug that figure into the calculator instead of a replacement ratio to gauge whether you've got enough saved for retirement (and, if not, estimate how much you'll need). Of course, unless you're clairvoyant, the retirement budget you come up with isn't going to be 100% accurate. Some expenses will come in higher than you expect, others will be lower and you'll no doubt have to deal with some expenses you didn't anticipate at all. Life isn't as predictable as a spreadsheet. But the idea is to be as accurate and thorough as you can, and then revise your budget every year or so based on reviews of actual spending as you near and enter retirement. To the extent that in the years leading up to retirement you can do some "lifestyle planning," or thinking seriously about how you'll actually live after leaving the workforce, you should be able to better anticipate the costs you'll face after you retire. Fact is, by its nature retirement planning doesn't lend itself to certainty. There are too many unknowables — how much your earnings will grow during your career, whether you'll be able to stick to your savings regimen, what size returns the financial markets will deliver, what share of those returns you'll capture with your retirement investments. You can't even be completely sure when it comes to such major assumptions as when you'll retire (EBRI's Retirement Confidence Survey shows that nearly half of retirees left the workforce earlier than planned, usually because of health problems or downsizing) and how long you'll live (although this longevity tool can at least help you assess the probability of living to different ages). But if you take the approach I've outlined above and do some fine-tuning periodically, you should have a reasonable shot at ensuring that your nest egg along with Social Security and other resources will allow you to live an acceptable lifestyle as long as you're around.